It’s time for the next installment of What’s Baking?. This time around the theme is pumpkin or squash (appropo, no?). I love these sugar cookies!! They’re pillowy soft and so chewy and delicious. A hint of pumpkin, a hint of spice and sugar all rolled together with a thin layer of spiced glaze. They were very easy to make and have stayed perfect in an airtight container for a few days. I froze half of the dough so that I can make them again soon. Prepare cookie shee(s) with parchment paper. 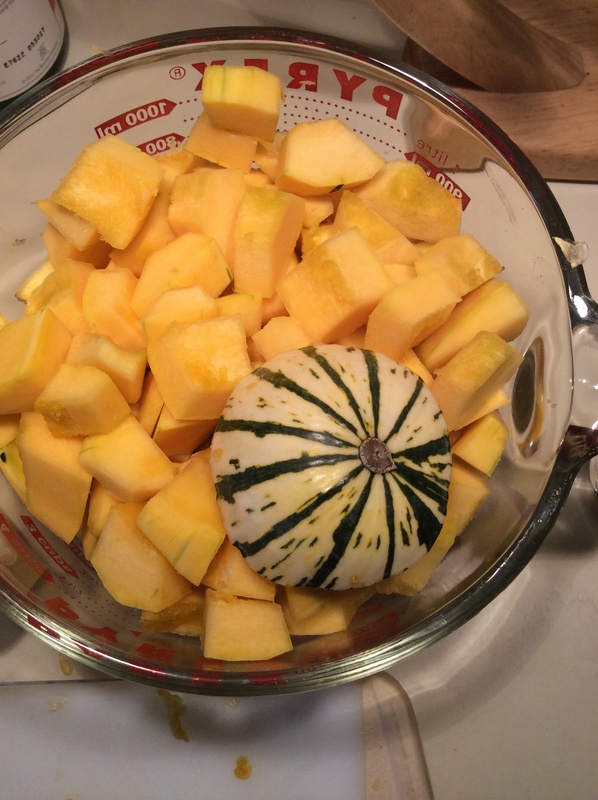 In a large bowl put the butter, oil, pumpkin, and eggs. Mix until well combined and smooth. 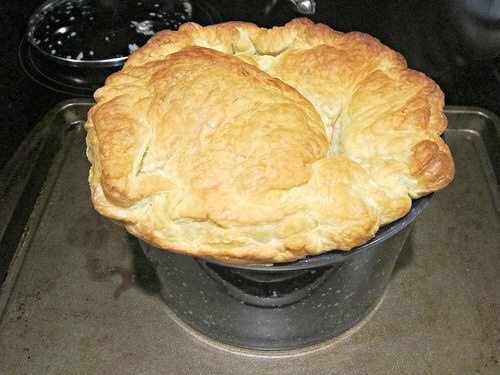 In a small bowl combine the flour, baking soda, cream of tartar, salt and pumpkin pie spice. Whisk well to combine and break up any lumps. Add 1/4 of the dry ingredients to the wet. Mix to combine, scraping down any on the sides of the bowl. Repeat until everything’s combined. Spoon large 1 tbsp mounds of the dough onto the prepared cookie sheet, 2 inches apart. Place the additional 1/2 cup sugar on a deep plate. 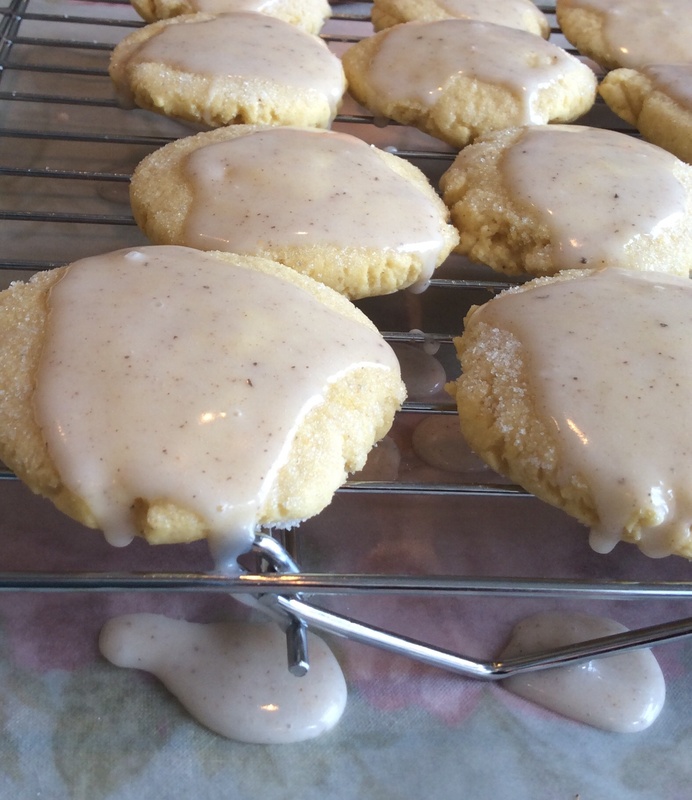 Using the bottom of a glass dipped in the sugar, flatten each cookie round to 1/2 inch, dipping the glass into the sugar before each cookie. Bake for 8-10 minutes. They will not brown. 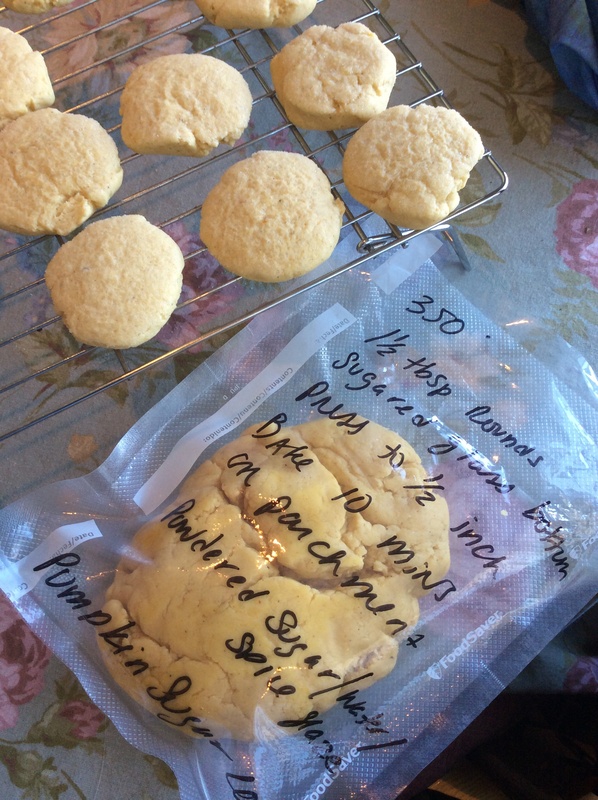 Cool on baking sheets for a few minutes then transfer to cooling racks with waxed paper or foil underneath. Mix the glaze. Spoon about 1 tsp over each cookie. Fall is definitely here and pumpkin is out and about in all of it’s glory. This past Sunday morning was a beautiful Long Island fall morning-chilly and crisp with the leaves just only barely beginning to change colors. In other words the perfect morning for some delicious warming oatmeal. 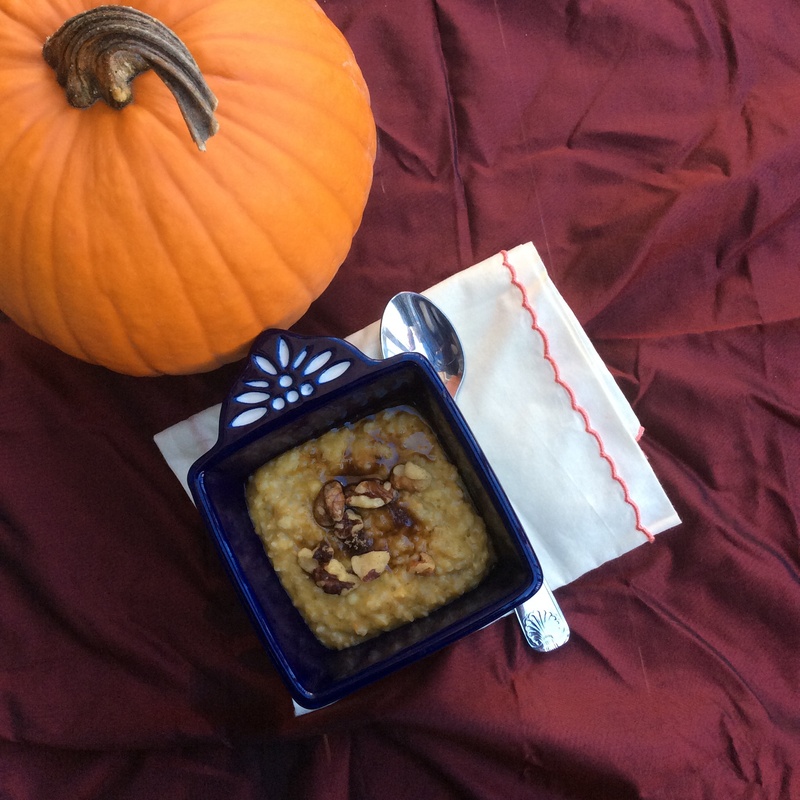 Last October I posted this recipe for Maple & Brown Sugar Steel Cut oats and I used it as the basis for the oatmeal below. It’s a perfect satisfying delicious start to the day. This isn’t a sweet or pumpkin pie like oatmeal-if you’d like it more sweet feel free to add it in, but I’m ok with just a sprinkle of brown sugar. For more of a pumpkin pie flavor add some pumpkin pie spice. Also note: it saves and reheats wonderfully. The recipe below makes a few cups. In a deep sauce pan boil the water. Lower the heat to low and add the milk and oatmeal. Stir occasionally and cook for 20 minutes. In the mean time cook the pumpkin puree over medium heat in a small skillet with the cinnamon over medium heat for about 5 minutes. Add the syrup, vanilla and pumpkin puree to the oatmeal, stir and cook for another 5 minutes. Top with brown sugar and walnuts and enjoy. So we’re coming up on the last weekend of summer. What a fantastic summer it has been-full of outdoor fun, friends, family and baseball. But I’m ready for fall. It’s such a gorgeous time of year-the colors of the trees, the crisp blue or gloomy grey skies, fall festivals and I can finally pull my boots out again. I miss them all summer. Even though there’s still summer left last Saturday started cold and rainy. So naturally chili came to mind immediately. The result of pulling different items from my pantry was delicious! Just enough heat, different tastes and textures and it’s very very very good for you. In a shallow pan over medium high heat melt the coconut oil. Add the onions and cook for about 5 minutes, stirring, to soften. Add garlic and stir to cook. Add spices and cook for 1 minute to coat and heat. Place the onion mixture and all ingredients above through and including the chicken broth, into the bowl of the slow cooker and stir to combine. Cover and cook on high for 1 hour then low for 4 hours. Spoon into bowls and garnish with feta and avocado and serve. 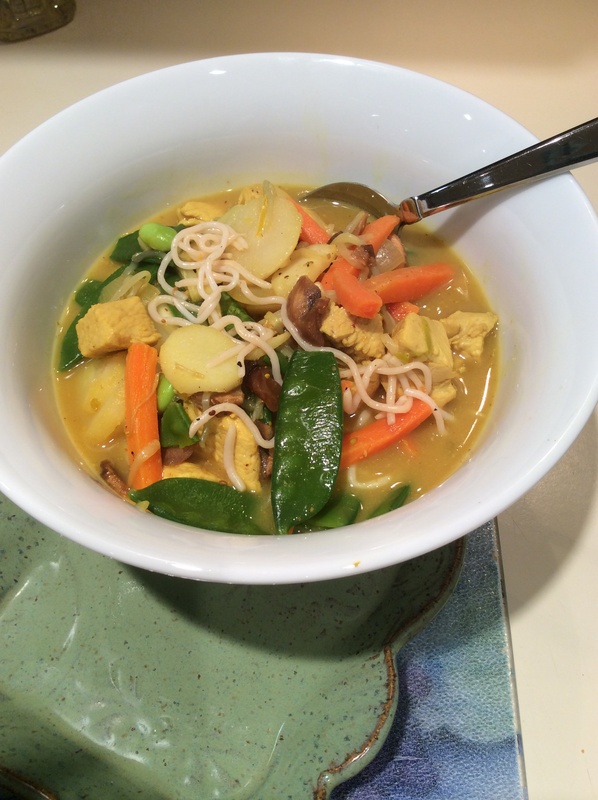 To make vegetarian swap out the chicken broth for vegetable broth. 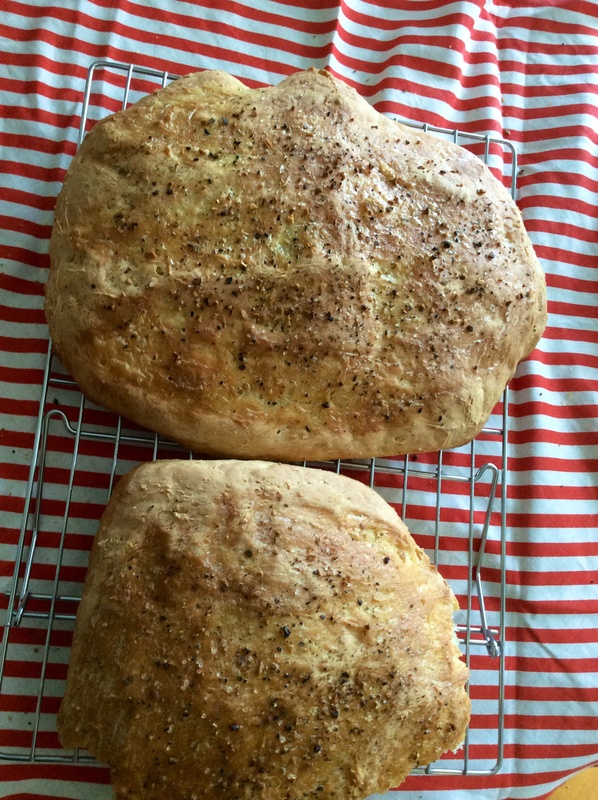 I’ve been trying my hand at homemade bread (without the use of a bread maker) for quite a few years. Something always went wrong. It was too dense, it just didn’t cook right, all kinds of issues. And it was frustrating! For hundreds, no thousands, of years people had been baking all kinds of delicious bread-why couldn’t I get it right?! Until I found this recipe. 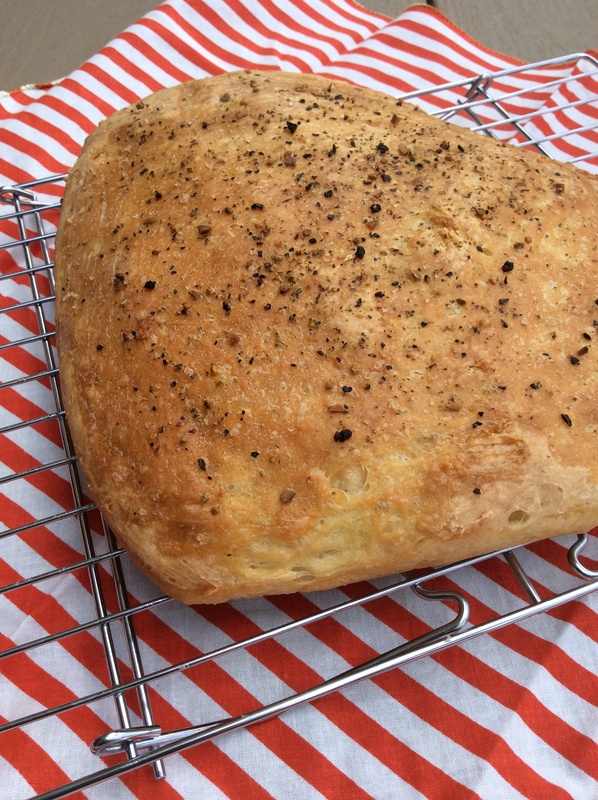 It’s an easy no-knead herb-topped cibatta-like yeast bread that comes together easily and bakes to a golden-brown deliciousness that will make your house smell amazing. 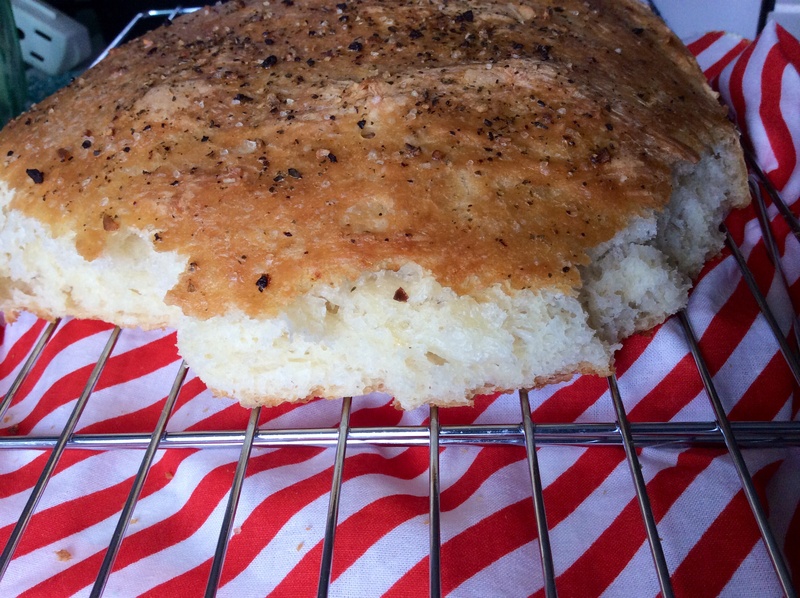 The minute this bread came out of the oven my homemade bread woes were over. It’s perfect. It’s sumptuous. It’s light, it’s crispy, it’s tasty. You can dip it in oil with spices. You can make a panino. You can make a regular sandwich. You can dip it into soups or clean the plate of sauce. You can make croutons. You can just pull pieces off and eat them like I did. Mix yeast and warm water in a glass bowl and let sit for 10 minutes. After the 10 minutes pour the yeast and water mixture into a large stainless steel mixing bowl . Add the sugar salt and flour. Stir until just combined. Do not over-mix or your bread will not be good. Cover it with a tea towel, put it in a warm place without drafts and let it double in size–about an hour to 90 minutes. Just keep an eye on it. After rising, split it into 2 equal rounds and place each on a rimmed baking sheet drizzled with a bit of olive oil. Let rise until doubled again. Brush the top of each with the butter and sprinkle with herb blend and sea salt. 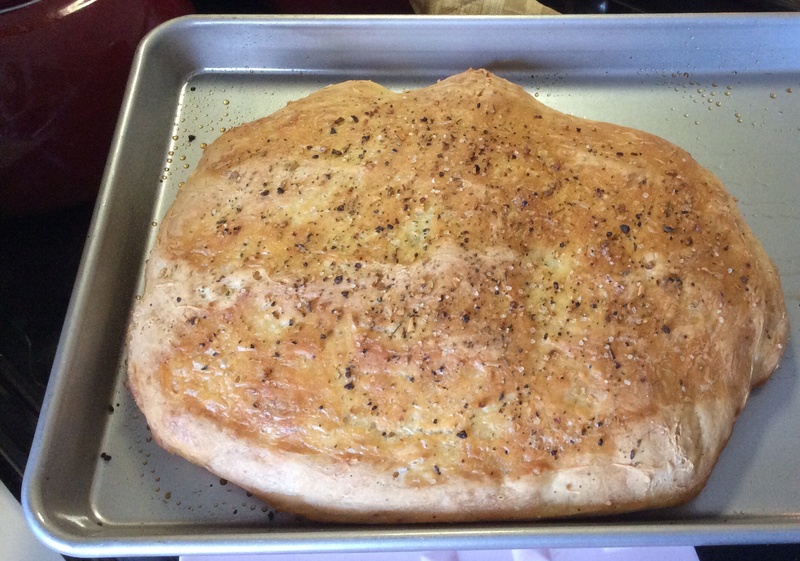 I used King Arthur Flour’s Parmesan Garlic Bread Dipping Blend. Bake for 10 minutes then (leaving the bread in the oven) reduce heat to 375F and bake another 15 minutes or until golden brown. Place on racks to cool. I couldn’t wait for it to cool!! YUM! 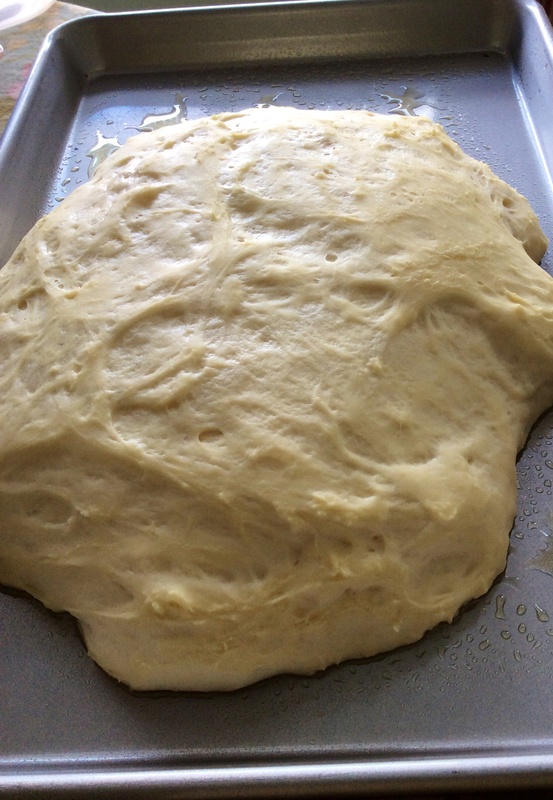 Uncooked dough ready for butter and herbs. 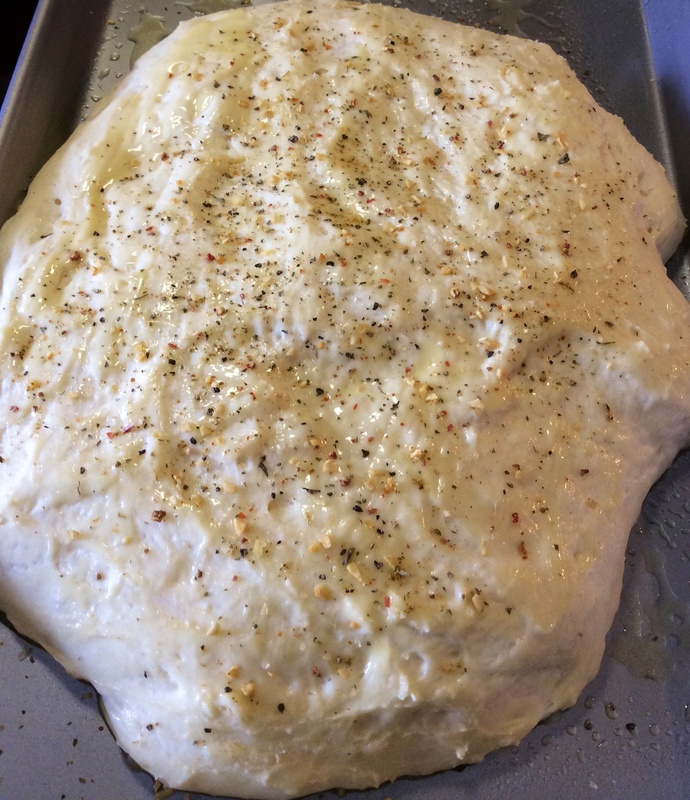 Uncooked dough with butter and herbs ready for baking. Bread right out of the oven. Adapted from www.yummyhealthyeasy.com to whom I will be forever grateful for this wonderful recipe. 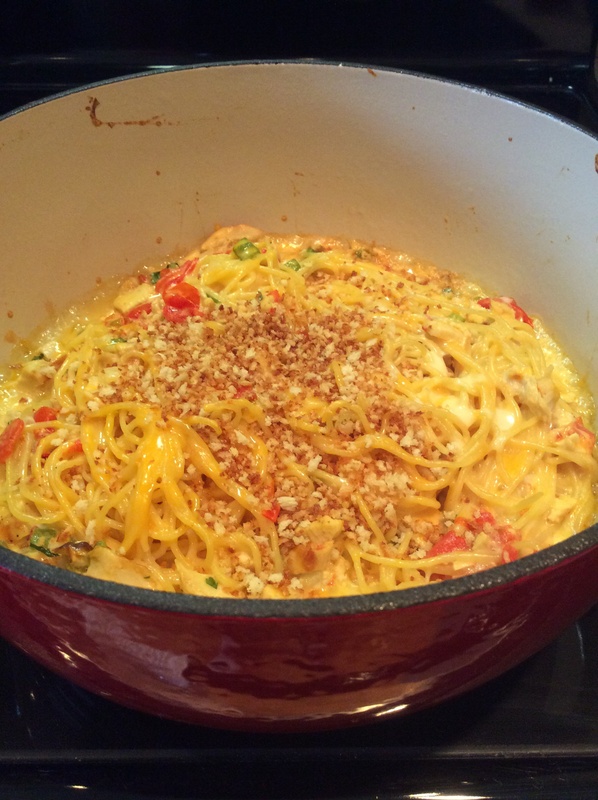 Maybe I live in the wrong part of the country or don’t pay attention to enough of what goes on in Texas but I’d never heard of ‘chicken spaghetti’ before I saw this recipe on Maeghan‘s blog. Which is ironic because she had never heard of it either until she came across it in a cookbook, The Homesick Texan’s Family Table. Well she made it and was nice enough to post the recipe. I’m glad she shared it because it’s DELICIOUS!!! 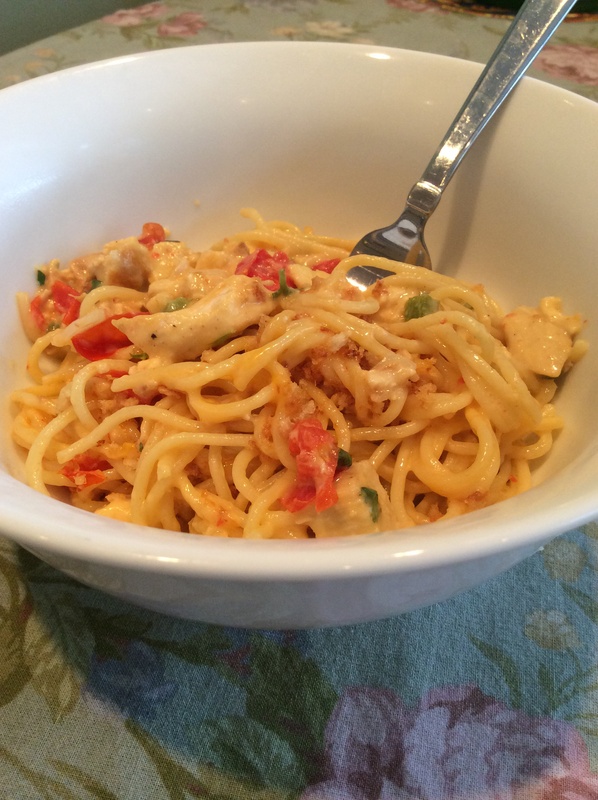 A sort of spaghetti and cheese with some Tex-Mex flavors and chicken. Um, yes please. Perhaps you’ve never heard of it either. Well-today’s your lucky day because this is one super-tasty, easy to make, cheesy dish. It has a hint of heat-just right for the dish if you ask me and I like spicy, but with the chicken and cheese I didn’t want overpowering hotness. 4 cups cooked boneless, skinless chicken breasts, cut into small bite-sized pieces. Turn on broiler and move top oven rack so that it’s about 6 inches from the broiler. Arrange tomatoes and jalapenos skin side up in one layer on a foil lined baking sheet along with the onions and garlic. Broil for 5-7 minutes until skin blisters. Remove and let cool. Reduce heat to 350F. Cook spaghetti until it’s al dente in a pot of lightly salted water. Drain, rinse and set aside. While the spaghetti is cooking place butter in a small sauce pan and melt. Add the panko and toast until just golden brown. Set aside. Spray a dutch oven with non-stick cooking spray and set aside. Melt the butter in a deep sauce pan over medium-low heat. Whisk in flour until well combined and slightly browned-about 30-45 seconds. Slowly pour in the milk and cook, stirring, until sauce thickens and will coat the back of a spoon, 3-5 minutes. Remove the pan from the heat and stir in most of the cheese, about 1/4 cup at a time, leaving a small bit of both aside for later. 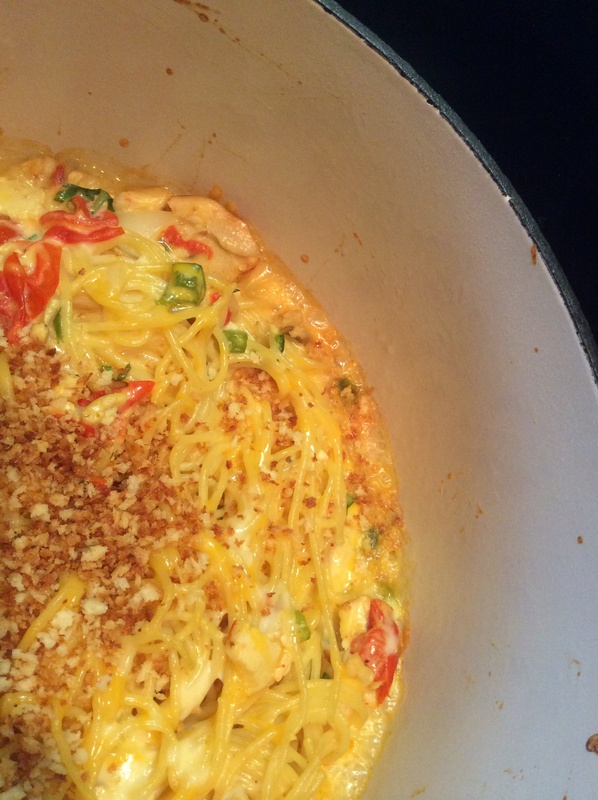 Put the chicken, spaghetti, roasted vegetables and pepper, herbs and spices and lime juice to the waiting dutch oven and stir to mix evenly. Pour the cheese sauce over and stir to evenly combine. Sprinkle the reserved grated cheese and panko over the top. Bake, uncovered, for 20 minutes or until brown and bubbling. Sprinkle with reserved cilantro and serve. Adapted from The Way to His Heart. I’ve made this chicken a few times since I found the recipe I’ve liked it so much. Each time it’s been fast and easy to put together and comes out perfectly done. You probably already have all of the ingredients on hand. 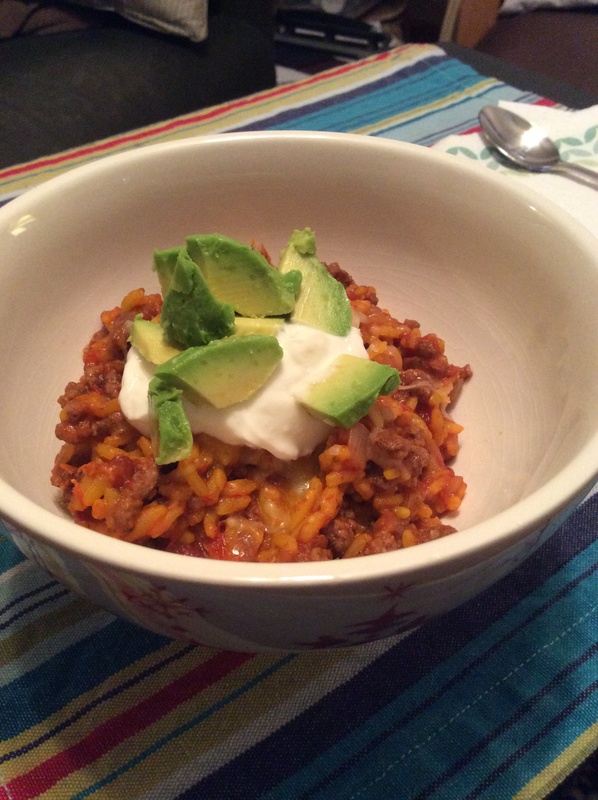 What a great healthy weeknight dish! Enjoy!! Line a small rimmed baking sheet just large enough to hold the 4 pieces of chicken with parchment paper. Set it aside. Spread breadcrumbs out into a wide bowl or dish. Use a bowl large enough to stir the breadcrumbs around in. In a small skillet melt the butter, then add the garlic and stir gently for 2 minutes. Set it aside for a few minutes to cool then pour it over the breadcrumbs in the dish and stir to evenly coat them then stir in the cheese and herbs, stirring again to mix evenly. Set the 4 chicken pieces next to each other. Drizzle with olive oil and season with salt and pepper on both sides. Using 1/4th of the dijon for each breast, spread the mustard evenly on the top side of the chicken then press the mustard side into the breadcrumbs. 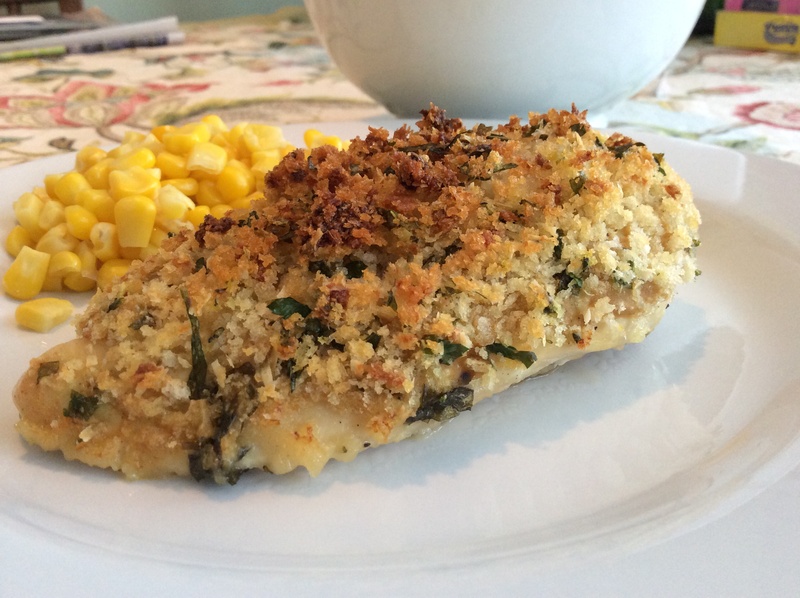 Set the chicken, breadcrumb side up, on the prepared baking sheet. Bake 18-20 minutes until breadcrumbs are golden and juices run clear or a thermometer inserted into the thickest part of the chicken reads 165. 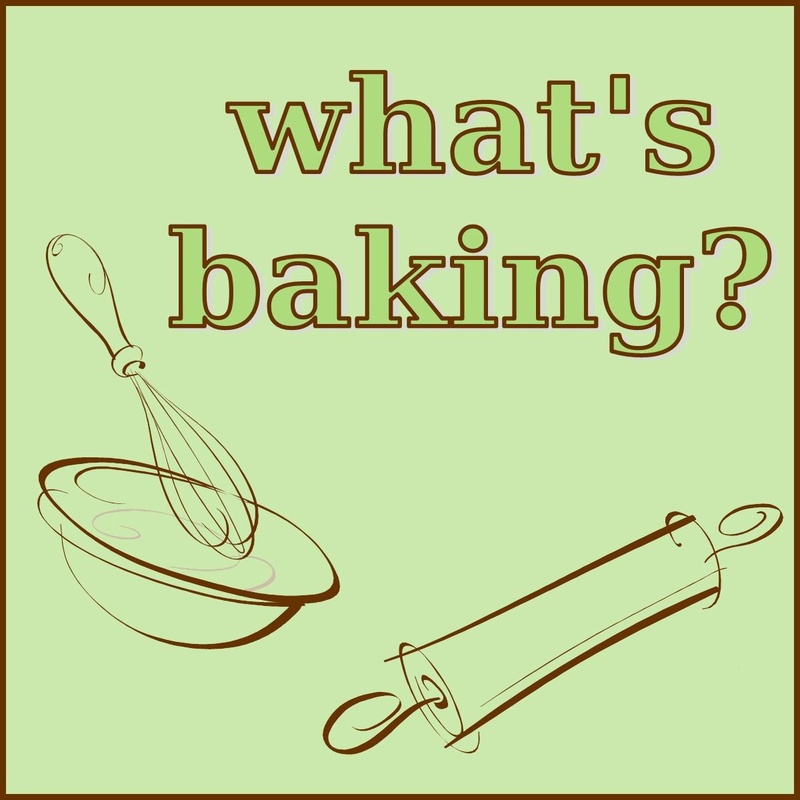 I was excited to be the host of this edition of What’s Baking? for July/August. I enjoy this great group of ladies and always look forward to see the amazing dishes that they bake. This time was no exception! I chose the theme “Bake your Heritage”. 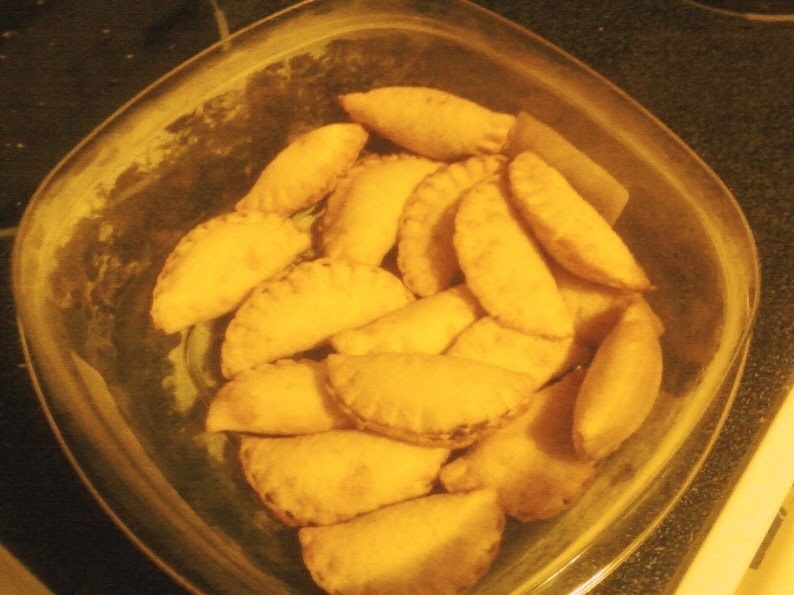 The idea was to bake someting-sweet or savory-which is common to the/or a country in your heritage. The dishes did not disappoint!! 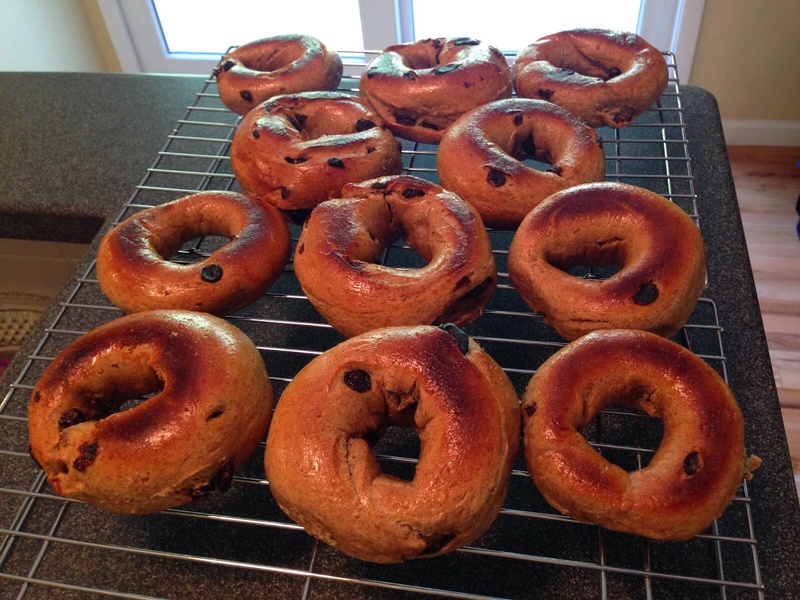 Joanna from Kosher Kitchen made some incredible looking Whole Wheat Cinnamon Raisin Bagels! Eva from Eva Bakes made Taiwanese Pineapple Tarts which sounds like a beautifully unique fruity pastry. 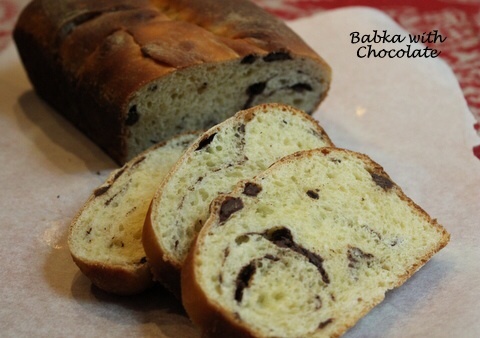 Liz from Books-n-cooks contributed an amazing looking Chocolate-Flecked Babka. 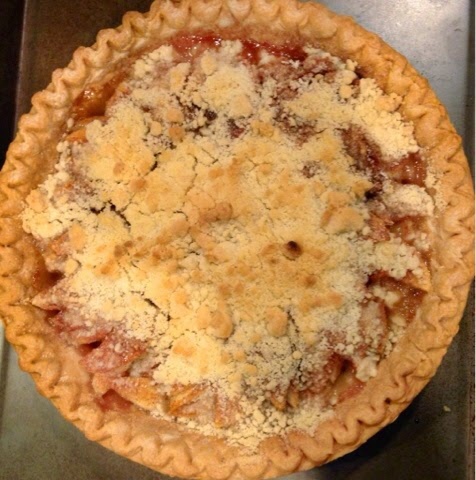 Ashley from Cheese Curd in Paradise baked a Dutch Apple Pie using her Great Grandmother’s recipe! Just in time for apple season! 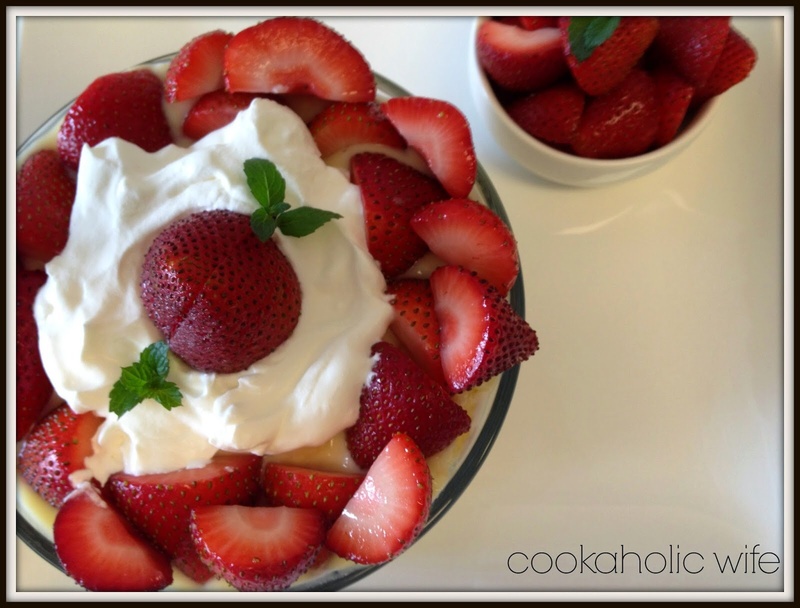 Nichole from Cookaholic Wife created a delectable Irish Trifle which has quite a background story-you have to read the post. 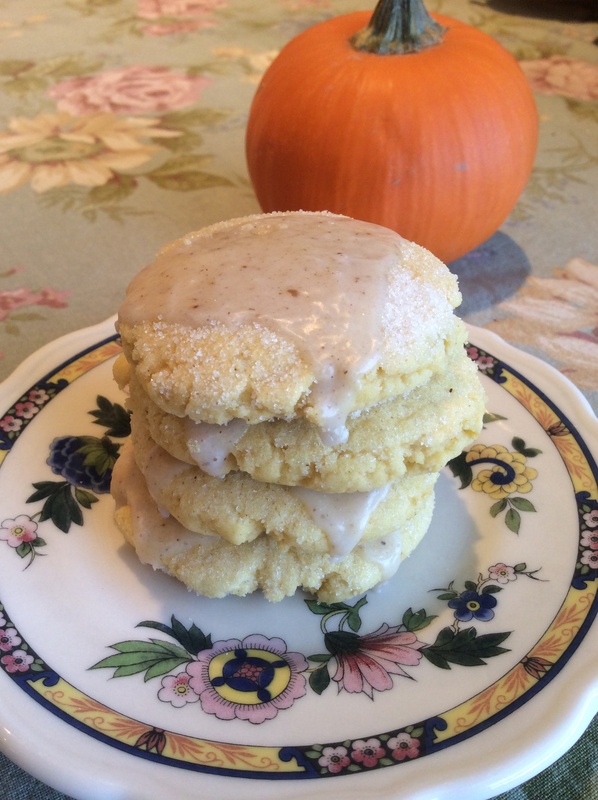 Nicole from Cookies on Friday also submitted an English recipe as a nod to her husband’s nationality. Banbury Cakes-YUM!! her source was BBC Good Food Magazine which I love. 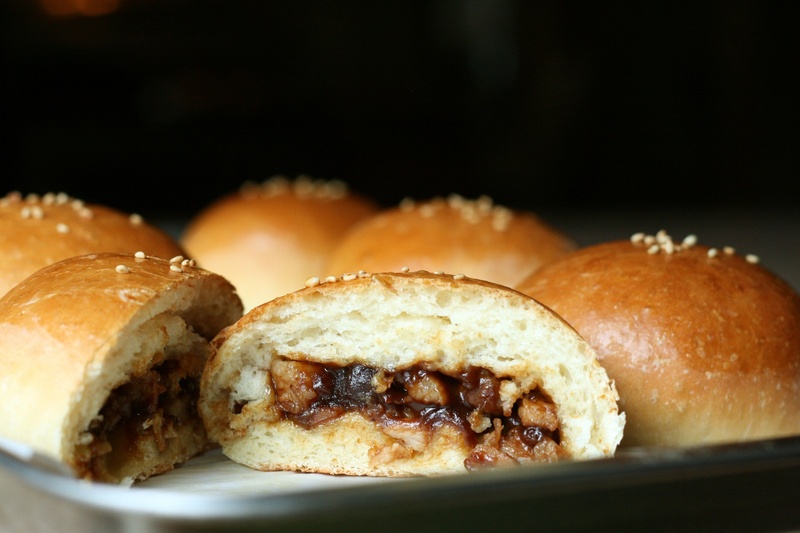 Jenni from Dough See Dough put together some amazing Char Siu Bao (Chinese BBQ Pork Buns) . I have had these at a small diner at Elizabeth and Bayard Streets in Chinatown years ago and was SO excited to see a version that I can make at home. Stephanie from Brownies and Blondies baked some Cassatedde to represent her Italian heritage-and her pastries look just like something you’d find in a bakery in Rome maybe, and enjoy with an espresso. Jaida from Sweet Beginnings looked to the Irish part of her heritage and submitted Beef and Guinness Pie which I’ve already noted to make in the fall. Husband thanks you, Jaida!! 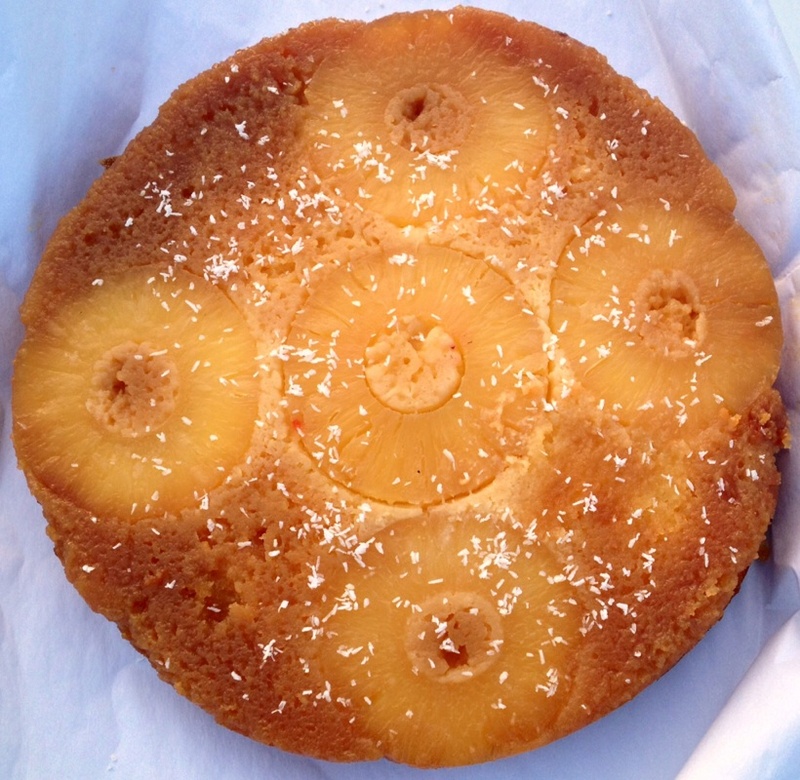 Nicole from Seven Ate Nine went another direction and used the Midwest and the Southeast as her heritage and made a picnic and potluck pleasing Pineapple Upside Down Cake. 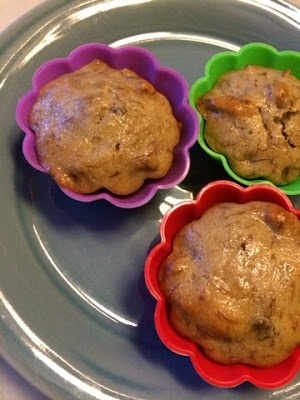 Catherine from Pursuing Domestic Goddess-ness submitted her spin on her Aunt’s banana bread recipeBanana Walnut Ginger Muffins which look really delicious. 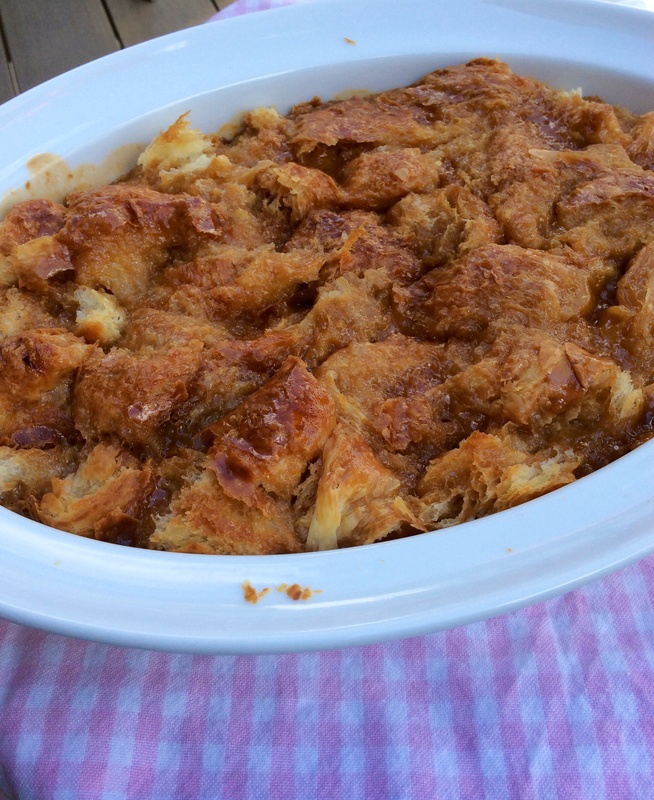 And last, but not least, I made this delicious Caramel Croissant Pudding for the English part of my heriatge. 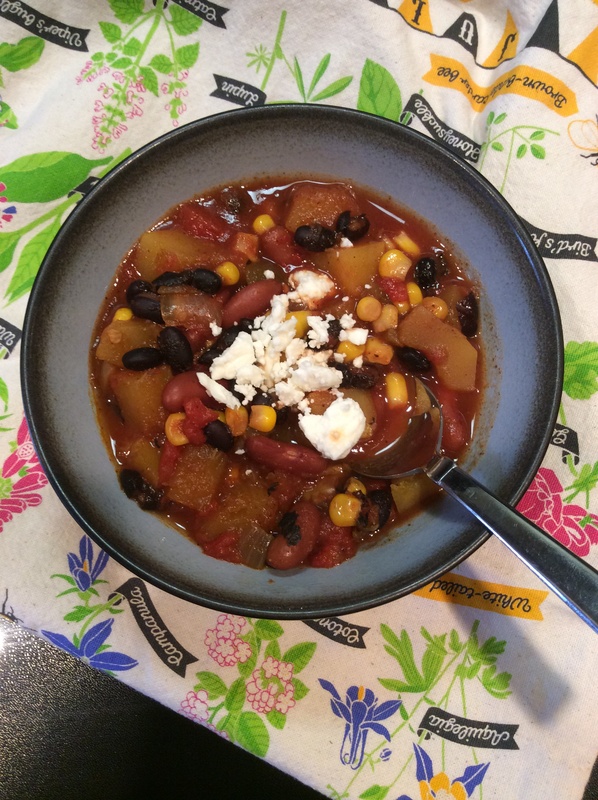 Thanks everyone for sharing amazing recipes with interesting backgrounds!! 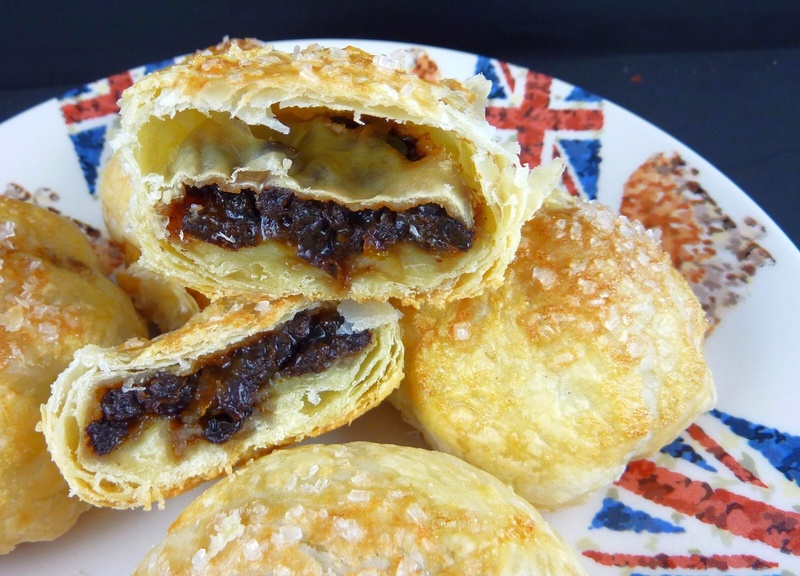 I was the host of July/August’s What’s Baking group and I chose the theme of “Heritage Dish”–make a dish common from a/one country of your heritage. Since I am part English I wanted to make a Pudding. I scoured cookbooks and the internet for the one. Then, on nigella.com, I found it. 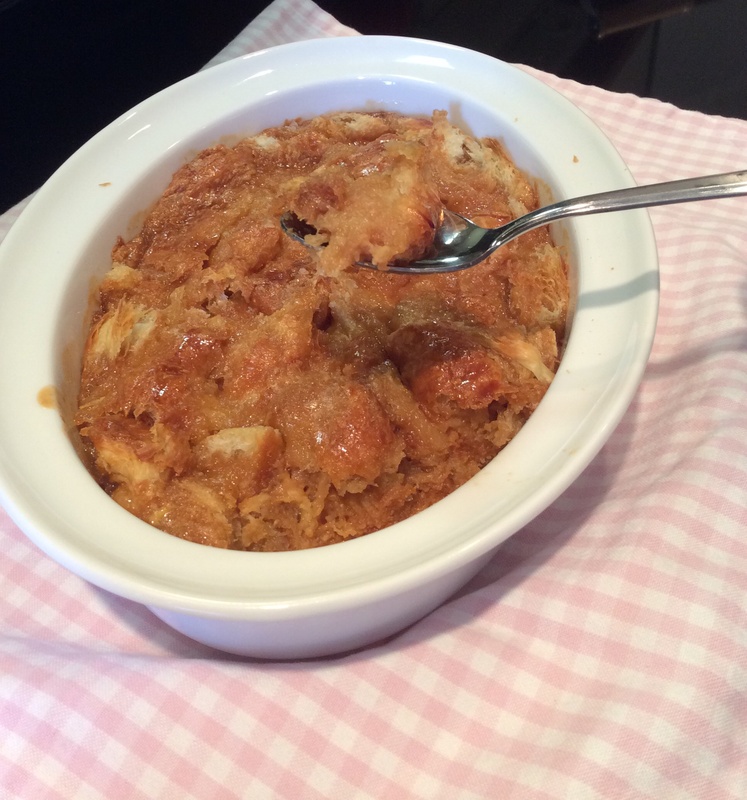 Caramel and Croissant Pudding?! REALLY? mmmmmm. It came out just as delicious as it sounded. It also took all of 10 minutes to put together to boot. What a genius way to use up day old or stale croissants-they go so fast. 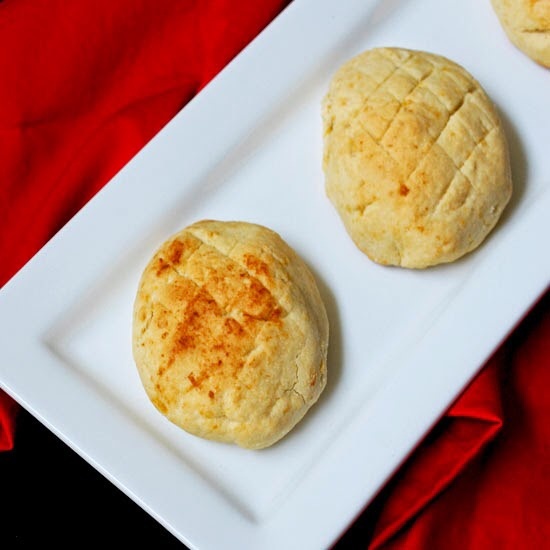 The super-buttery bread paired with a simple caramel with a hint of rum makes an amazing combination of flavors. The texture is nice too as some of the croissants stick up and get a little crusty while it bakes. This recipe is genius. Place the croissant pieces into a baking dish large enough to hold all of them tightly packed into an almost even layer. Put the sugar into a deep sauce pan, add the water and swirl to dissolve the sugar. Place the sauce pan over medium/high heat and let it bubble on, no stirring, until it’s a deep amber color-3ish to 5ish minutes. Turn the heat to low and add the cream, it will sputter so be careful, but whisk continuously while adding the milk and rum. Keep stirring and make sure to dissolve any hard bits that form. Remove from heat, keep whisking, and add the eggs until all mixed and combined. Pour it over the croissants. Place the dish in the oven and bake for 20 minutes. Good luck not eating it all in one sitting. It could make 1, 2 or 6 servings depending on how greedy those who are eating it are.